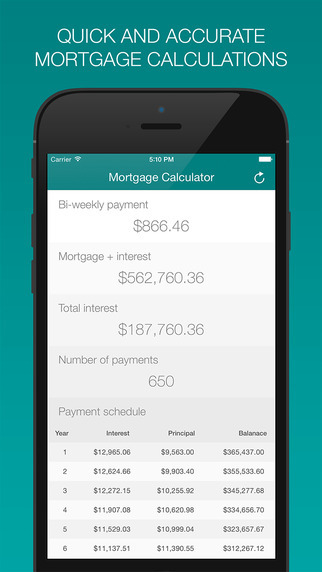 One of the first things I noticed about Payments – Mortgage Calculator is that it’s a very simple and straightforward app. You need a few bits of information on hand before you can begin calculating. 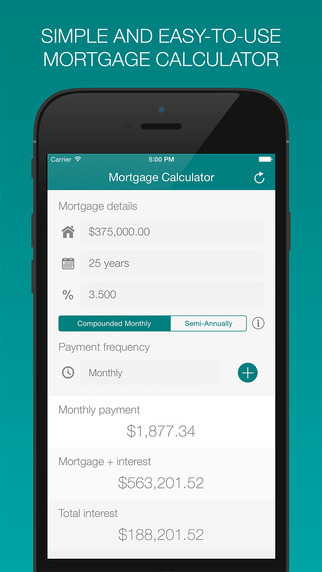 To use the app, simply enter the mortgage amount, interest rate, and duration of the mortgage. Payments – Mortgage Calculator automatically calculates everything for you and gives you the option to see an amortization table, which gives you an idea as to how much of your payments go toward interest and principal. Users also have the option to change the frequency of payments to monthly, bi-weekly, or weekly. You can even choose to increase your payment by a certain amount and Payments – Mortgage Calculator will show you how much you’ll save by paying more than your minimum monthly payment. When it comes to usability, it doesn’t get easier than Payments – Mortgage Calculator. While it certainly doesn’t replace a professional mortgage company’s figures, it’s a great way to get an idea as to how much money you’ll pay per week or month for any houses you’re looking at. If you’re checking on mortgage prices and rates around the world, the good news is that Payments – Mortgage Calculator automatically adjusts your currency based on your device’s location. However, I do wish there was a way to change currencies manually for those who might be looking to move abroad. 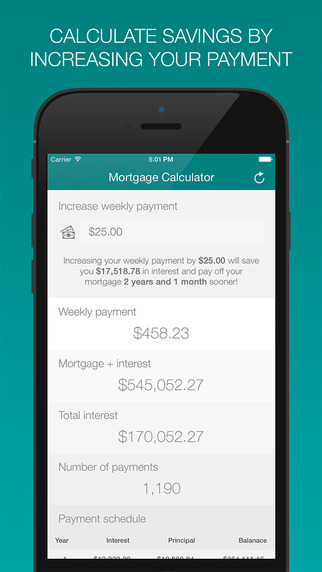 Payments – Mortgage Calculator is a great mortgage calculator tool, but I think there is one big improvement that would make the app even better. For example, I think being able to save calculations for future reference would really help those who are searching for homes so they can quickly go back and see calculations without having to perform them again. Overall, Payments – Mortgage Calculator is a great mortgage calculator tool that gives users valuable insights into how much that gorgeous house will actually cost. It’s easy to use and navigate, and a couple of feature improvements will make it a must-have app for realtors, homebuyers, and anyone else who is interested in mortgage prices and data. 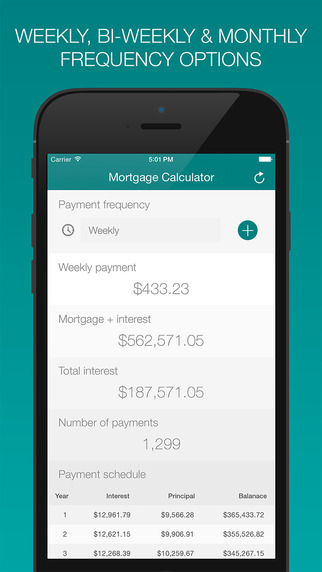 Payments – Mortgage Calculator requires iOS 8.0 or later and is compatible with iPhone, iPad, and iPod touch. This app is optimized for iPhone 5, iPhone 6, and iPhone 6 Plus.